Out of more than 40,000 CPA firms across the United States, the American Institute of Certified Public Accountants (AICPA) honored Dugan & Lopatka, CPAs, PC as a Group of 400 (G400) honoree – one of the 500 largest CPA firms in the country. 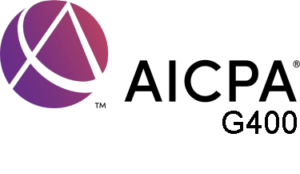 The AICPA separates the country’s 100 largest CPA firms into a separate group called the G100. The G400 represents the next 400 largest firms in the United States. This second tier of CPA firms represent the CPA firms more commonly serving America’s small and mid-sized businesses. Through Dugan & Lopatka’s G400 status, services to our clients is enhanced through our increased direct communication and collaboration with the accounting industry leaders.